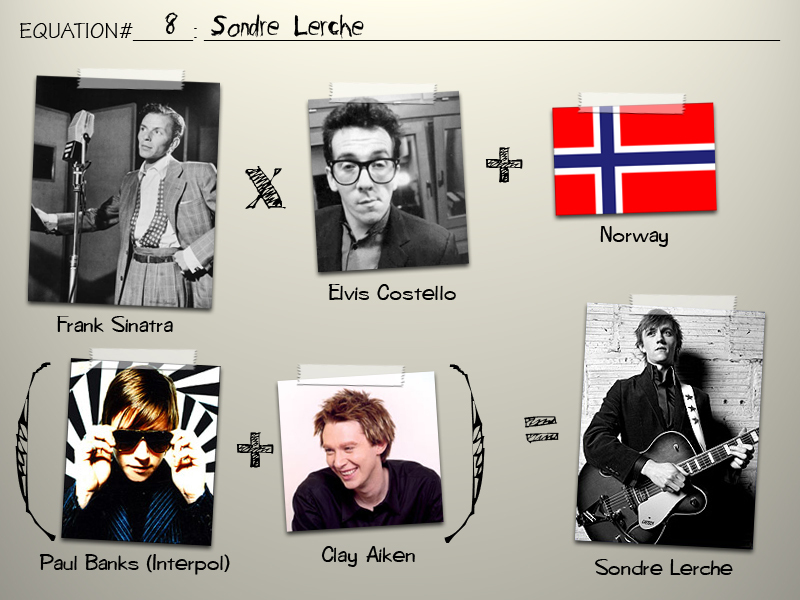 sondre lerche's music is unbeleivable, the way you think of the beatles as good. his songs leave me grinning like a school girl with a lollypop and wondering how the hell he does it. from his original arrangements to his beautiful vocals and quirky lyrics, sondre lerche valor is feather-plucking great.....however i don't quite get clay aiken's bit in the equation??? i think the clay aiken bit was more about looks. i mean, in the "Days That Are Over" video he has undeniable aiken-ness.